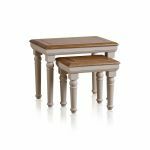 Nesting tables are incredibly popular pieces of living room furniture - and it's no surprise why! 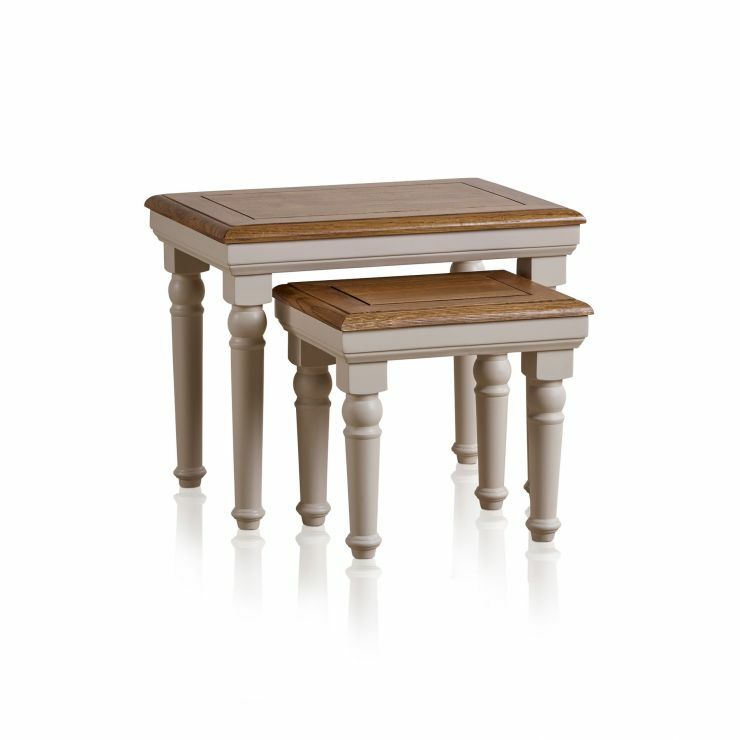 These versatile pieces offer both style and function, and our Shay tables are no exception. 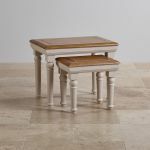 The set is made from high quality painted hardwood to meet our stringent quality standards, so you know that they will look great in your home for years to come. 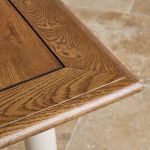 Each table features design details which match our Shay design, including delicate cornices, cut detailing on top, and beautifully turned legs. 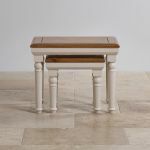 The bases are painted in a delightful shade of almond grey, and the top is solid oak in our popular rustic finish to create a simple and elegant look. 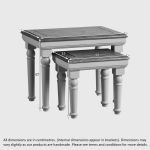 Their size is ideal for creating extra space in your living room as the perfect place to put down a drink or a good book, or even as extra seating in a pinch! 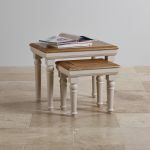 Browse all our Shay living room furniture today, with free delivery to the room of your choice!